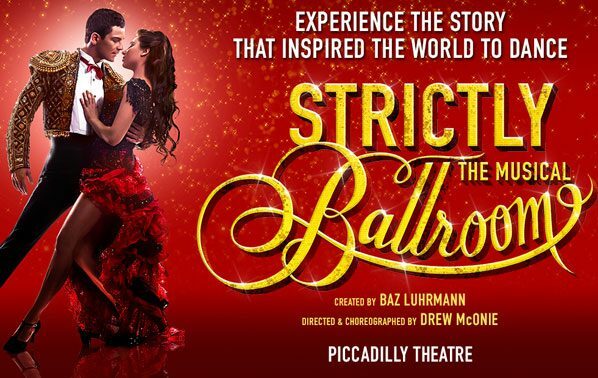 We were very excited to have theatre and hotel packages including the fabulous Strictly Ballroom The Musical at the Piccadilly Theatre earlier this year. You will know Strictly Ballroom from the hugely successful Baz Luhrmann movie, but did you know that its first incarnation was as a short play, staged by students of the National Institute of Dramatic Arts in Sydney? It was actually inspired by Luhrmann’s own experiences and, following critical success on stage, Luhrmann was offered the chance to direct the film that we all know and love. Did you also know that, if you love Strictly Ballroom, you are not alone: it is one of the most successful Australian films of all time. In 2014 it came full circle and returned to the theatre in a new musical adaptation which premiered in Sydney and then open here in the UK at the Grand Theatre, Leeds. So if you are not a fan, I guess you want to know what it is about! If you’ve seen Matilda and secretly would like to know more about the world that her mum lives in, then this is the show for you!